Reiko Chiba was born in Osaka Prefecture, and raised in Fukushima Prefecture, Japan. She started her career as a model in 1991 before making her acting debut in the 1992 Super Sentai series Kyōryū Sentai Zyuranger as Mei/Ptera Ranger. 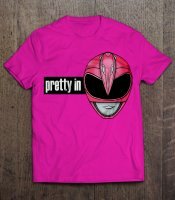 When the series was adapted into the US version Mighty Morphin Power Rangers, it aired in Japan where Chiba, herself, re-dubbed both Ptera Ranger and the US footage of actress Amy Jo Johnson who played her character, now known as Kimberly Hart/Pink Ranger. After the end of the series, Chiba made her J-Pop debut on April 7, 1993 as a member of Aurora Gonin Musume. She also did a cameo voice appearance as herself in the anime movie Fatal Fury: The Motion Picture, performed the voice of Cham Cham in the Samurai Shodown video game series, and had a spot in the nightly radio show Akihabara Young Denkikan. Chiba retired from the entertainment industry in 1995. She is now active as a certified yoga instructor, teaching yoga classes and issuing a series of instructional books and videos. Chiba is also the public face of the corporation Cherrybabe, Inc.
Friday March 9, 2018 :: 3:20 pm	 Details Pre-Purchase this Photo Op! Saturday March 10, 2018 :: 11:25 am	 Details Pre-Purchase this Photo Op! Sunday March 11, 2018 :: 11:30 am	 Details Pre-Purchase this Photo Op!